BHEX Contracting Ltd. was formed in 2000 as a partnership between two brothers, Bruce and Hugh Watt. 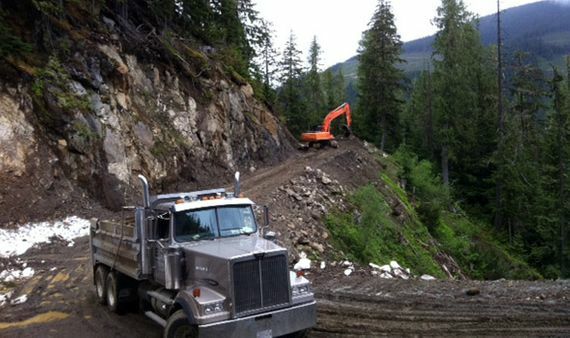 Based in Revelstoke, BHEX owns and operates a variety of heavy equipment including tracked excavators, wheeled backhoe, bulldozer, gravel truck, an equipment trailer, and logging equipment. The equipment is well maintained and job-ready. BHEX is affiliated with Hugh’s company True North, which provides professional and technical forestry services, road location and design, digital mapping, supervision, and natural resource permitting services. BHEX is currently developing three gravel and rock quarries situated at Galena Bay, Akolkolex, and Begbie Creek. The goal is to supply and haul a variety of construction materials for our customers. In fact, you won’t run into any hitches when you hire family-owned BHEX Contracting. We’re well known in the area for quality work, honesty, and fair, competitive pricing. Furthermore, we take pride in our great service! Whether you’re clearing a new building site, planning water line repairs or just need gravel for your driveway, call the company known for excellent service: BHEX Contracting. We look forward to serving you. 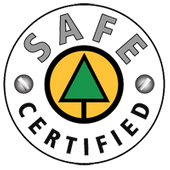 We are SAFE Certified by the BC Forest Safety Council.